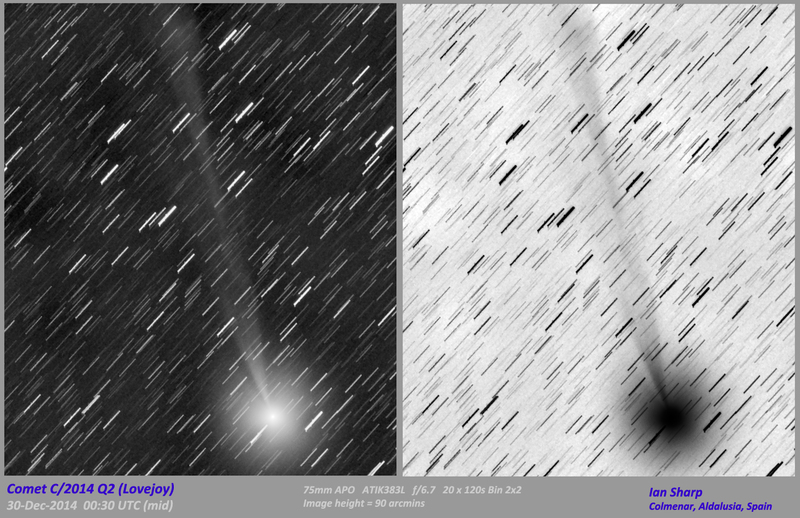 Here's Comet Lovejoy from Spain again. This time a luminance filter image using my Pentax 75mm APO and ATIK-383L CCD. Details on the image. Unfortunately the Moon was still up and definitely took the edge off the result.